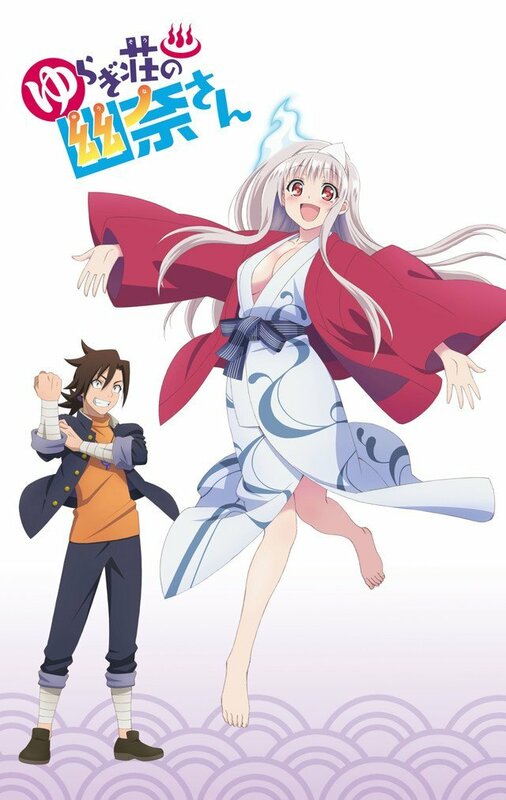 Upcoming TV Anime Yuuna and the Haunted Hot Springs is the adaptation of Tadahiro Miura’s manga of the same name. The anime is to premiere on July 14. Two more cast members join the series – Mikako Komatsu casting for Oboro Shintou and Anzu Haruno casting for Koyuzu Shigaraki. Furthermore, previously announced cast members include Miyuri Shimabukuro casting for Yuuna and Yuuki Ono casting for Kogarashi Fuyuzora, who is the main character of the series. Additionally, an OVA will ship on with a Blu-ray Disc with a limited edition of the manga’s 11th volume on July 4. The OVA will be adapting the manga’s 12th chapter. Moreover, the bundle will also include an “ultra deluxe bath poster” drawn by Miura. Furthermore, the second OVA will ship with the manga’s 12th volume on October 4. The OVA will adapt the manga’s 22nd and 31st chapters. The opening theme song “Momoiro Typhoon” (Peach-Colored Typhoon) is by Luna Haruna. The anime’s ending theme song is by Miyuri Shimabukuro, Eri Suzuki, and Rie Takahashi. Weekly Shonen Jump began serializing the manga in February 2016. It describes the manga as an odd story between a physical ghost buster and his ghost roommate. The story centres on a young man who encounters the ghost of a young girl at a creepy hot spring guesthouse. Jump Festa 2018 event began streaming the first promotional video of the anime, the adaptation of Tadahiro Miura’s Yuuna and the Haunted Hot Springs (Yuragi-sō no Yūna-san) manga.